Happy Sunday everyone! I hope your weekend was as amazing as mine. This summer I will post as often as much as I can! Yesterday I was too tired, so I will share today! We took a walk with Marjiana to the monument at the top of the hill. You can see the entire city from the hill and it was truly breathtaking. 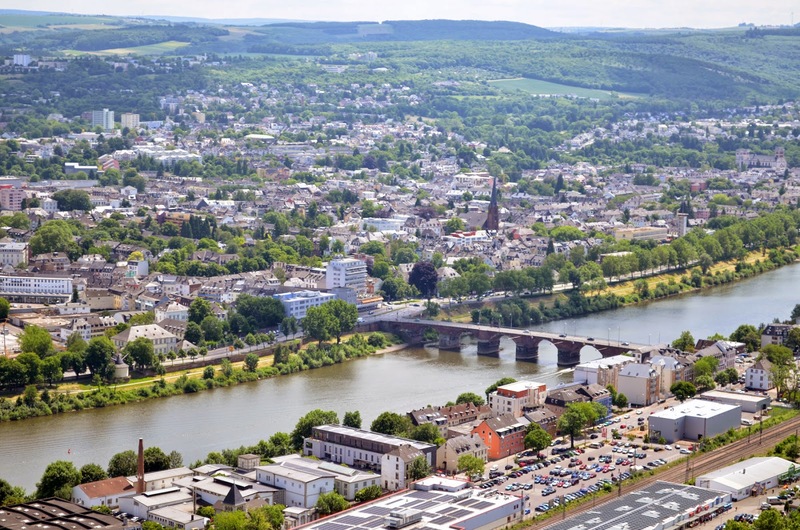 There were wonderful views of the Roman Bridge, Porta Nigra, and the Moselle. On our walk back we met some new friends (pictured above). We went to a local ice cream shop. Zach and I split the Swiss Chocolate Eisbecher. So delish! In the evening we went to a park next to the ruins of ancient Roman Baths with Marjiana's friends Britta and Gregor. It's tea time! See you later!